As the forces of the rebellion take the offensive, the Mockingjay and the Victors are deployed in the Capital as propaganda tools, but Katniss breaks rank to take the fight to President Snow himself. The MockingJay returns to save the day-and kill! 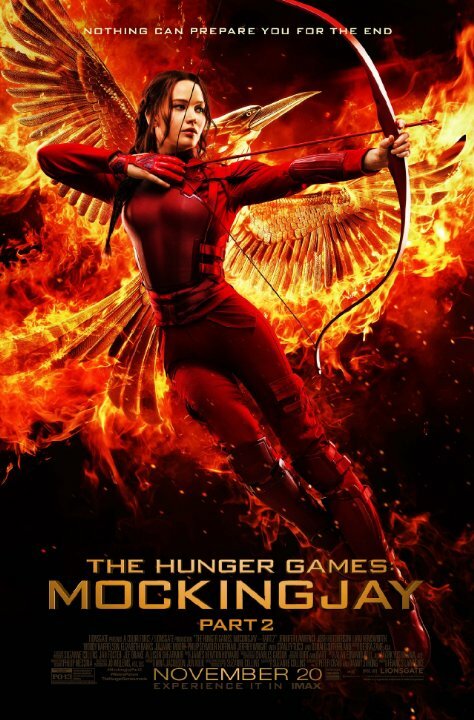 I scoffed at the cynical ploy that Lionsgate took in splitting up the final chapter of the Hunger Games film series. It's the simplest way to make money off filming a book series. I hated it when Twilight did it and Harry Potter and now Divergent has done it too. That being said, MockingJay Part 2 is pretty good. It's a solid conclusion to the story with a sufficient mix of action and the romantic entanglements that Y/A movies are notorious for these days. While Part 1 was well made, it was talky and slow moving. Part two picks things up and the pacing is far better. No posts have been made on this movie yet. Be the first to start talking about The Hunger Games: Mockingjay Part 2!